New people we meet often ask our previous customers the reasons why they have chosen Chittenden Builders to complete their own Vermont Pressure Washing Projects? 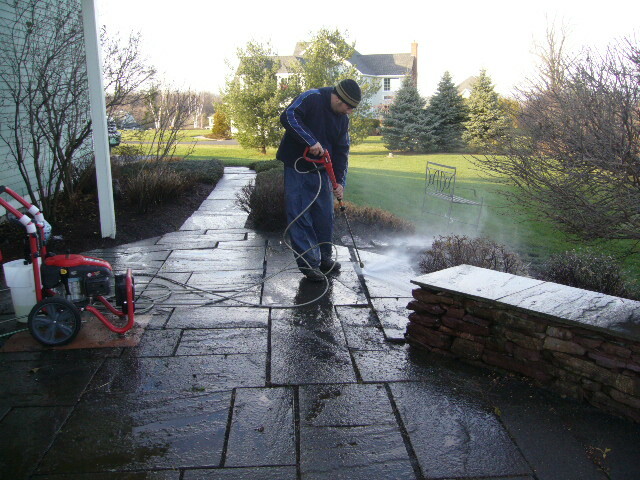 This Pressure Washing Project Was Recently Completed By Chittenden Builders. This Beautiful Stone Patio Was In The Early Stages Of Fungus Buildup Which Was Starting To Create An Extremely Slippery Surface As Well As Effecting The Properties Appearance. Chittenden Builders Utilized This Pressure Washer To Clean And Remove The Fungus As Well As Other Types Of Buildup That Was Gradually Spreading Throughout Entire Patio Surface.